Later this month, the Toronto Wood Solutions Fair will take place at the Metro Toronto Convention Centre. The Government of Saskatchewan’s new legislation to amend The Builder’s Lien Act will create a payment process to establish reasonable timelines for providing payment for construction projects. Earlier this month, the Government of Saskatchewan introduced a legislation to better protect and define the rights and obligations of owners, developers, contractors, and subcontractors. The proposed Builders’ Lien (Prompt Payment) Amendment Act, 2018, will create a payment process to establish reasonable timelines for providing payment for construction projects. It will also establish an interim adjudication process that can be used in addition to arbitration and litigation. Under the proposed legislation, owners and developers will be required to provide payment within 28 days of receiving a proper invoice for construction services. Contractors will need to pay subcontractors within seven days of receiving a payment from the owner or developer. 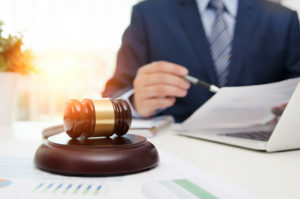 Under this new legislation, the person required to provide payment can also dispute the payment through the interim adjudication process if they feel an invoice is inaccurate. By providing a more robust process and clearer guidelines, the government hopes to reduce the number of payment delay cases that end up in court.